Hyperion X9 pro is fully configurable and its modular and scalable design makes it possible to transition from a basic to a more advanced version in an easy and cost-effective manner. An extraordinary platform that adapts to the needs of your dental practice thanks to the 2D PAN/CEPH sensor that can be easily relocated. The most compact 3-in-1 hybrid system available on the market for high-quality 2D and 3D examinations. 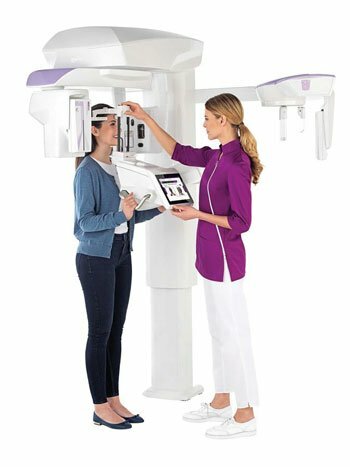 An upgraded generator and 3D sensor delivering high-quality images with minimum irradiated dose using FOV sizes going from 4×4 to 13×16 cm allow dentists to perform countless exam types, each with dedicated scanning protocols to achieve diagnostic images with up to 68µm resolution. 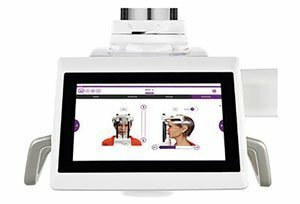 User-friendly graphics and direct controls make your work easier, providing patients with a more relaxing experience. Hyperion X9 pro is characterised by the simplicity of use and the rapidity of procedures, such as the possibility to choose predetermined programmes directly from the homepage. The control panel interface provides precise instructions on the patient’s positioning depending on the selected protocol. 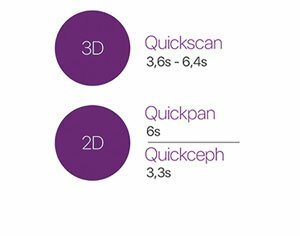 Thanks to advanced QuickScan protocols, available for both 2D examinations and 3D acquisitions, it is possible to obtain accurate images with lower doses as compared to a standard acquisition. These protocols are the ideal tool for post-surgery check-ups and for the identification of any macrostructures (such as impacted teeth or dental agenesis). Look no further than MyRay’s Hyperion X9 pro for a wide range of clinical diagnostics. A modular, scalable solution, which fits perfectly into dental surgeries looking for 2D and 3D capabilities.